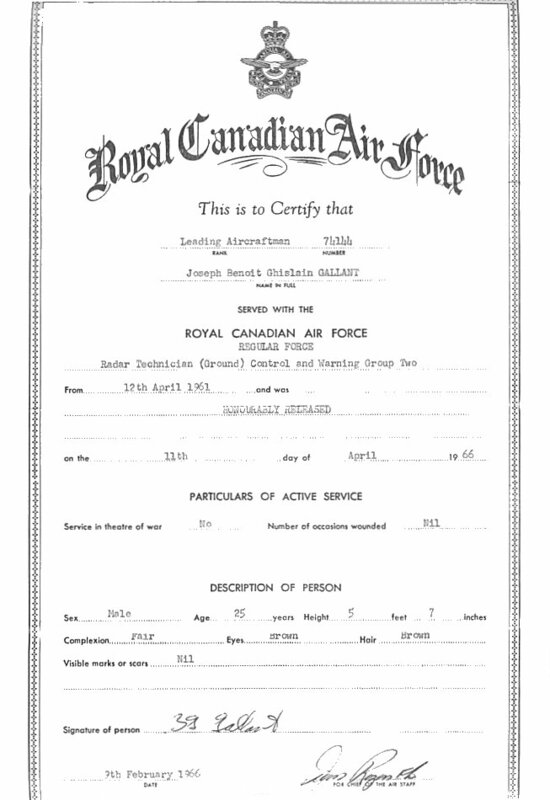 RCAF Discharge Certificate - 9 February 1966. 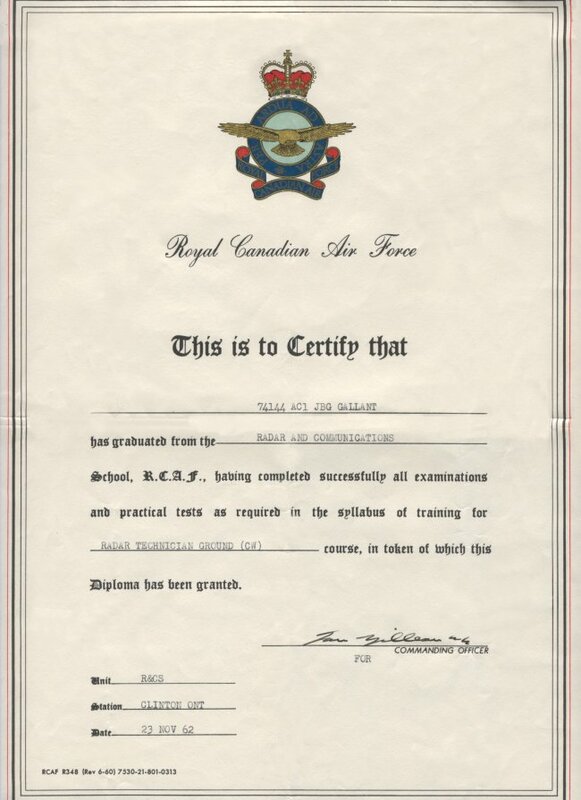 Radar Technician Ground Certificate - 23 November 1962. FPS-7 Course at Keesler AFB - 8 July 1962. Air Defence Command #9 (Equipment Course held in Clinton) - 1955. Second row (Ivan Mesh - 1st left). 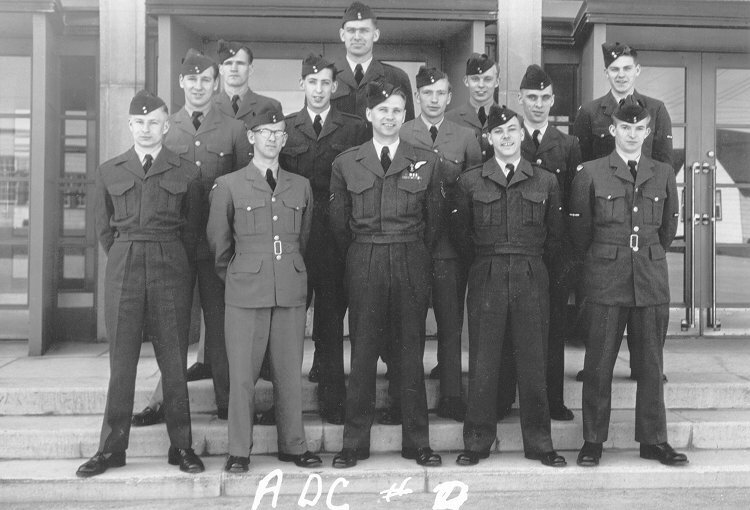 Front row (Ed Matthews - 4th from left).